Our annual Fall Veggie Sale will have fall vegetables in bulk quantities. Great bulk pricing! Buy a lot, or a little. Plus, check out the new Garden City Harvest digs at the River Road Farmstead! They’re pretty amazing, if we do say so ourselves. All community gardeners need to have their plots tidied, prepped and ready for winter by this weekend in order to receive their deposit back. Pumpkins range from $7 – $10, cider, carving, and admission free! Join us for this fun, hands-on workshop for beginners to well-versed sauerkraut fermenters alike. Come learn this easy method of fermentation for preserving your cabbage to last you well into this winter. We are excited to announce that registration is now open for the 2018 Montana Farm to School Summit: Cultivating Connections! We're very happy to help put on such great, educational and insightful conference! Together we will make a number of delicious recipes, enjoy the garden in the height of summer, and eat together as a community. 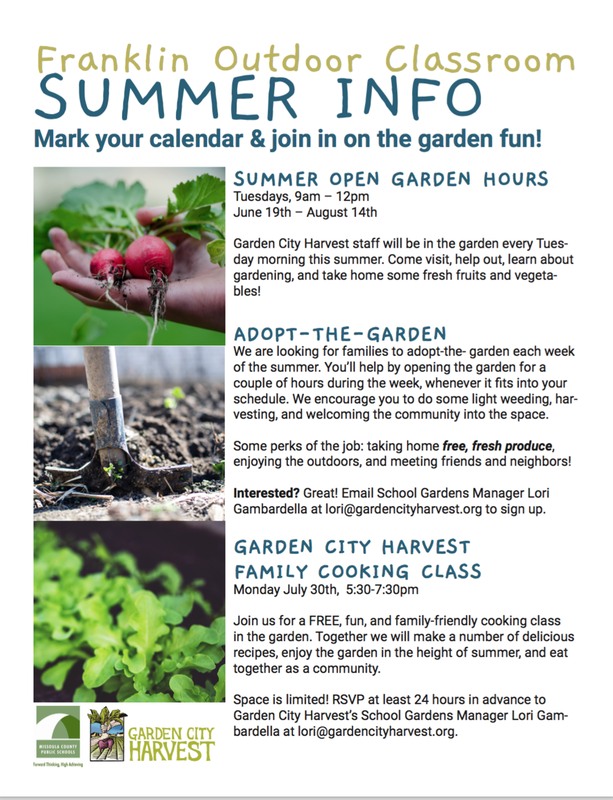 RSVP at least 24 hours in advance to amy@gardencityharvest.org. Space is limited! Thursday pickups begin on 6/7 between 4:30 - 6:30 at all farms. Monday pickups begin on 6/4 between 4:30 - 6:30 at all farms. 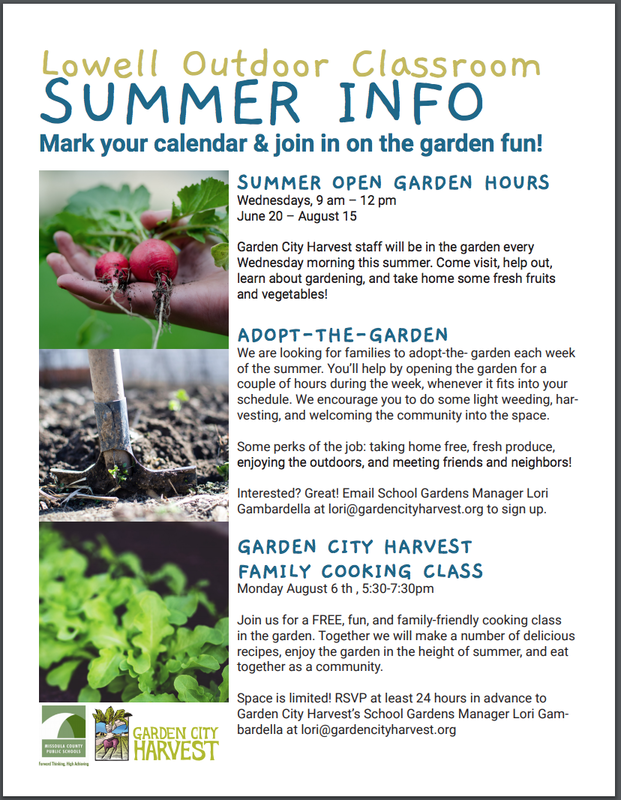 Join the community garden managers, Emily and Patrick, for a hands-on workshop to help you be a successful gardener. This is the day to have your garden plot spiffed and ready for winter. Instructions and more detailed information will be posted in the early fall. Come to buy your pumpkins, stay to carve them, and drink a cup of piping hot cider. Celebrate Garden City Harvest and our mission to build community through agriculture in Missoula, Montana. Celebrations include: a farm fresh meal, drinks, and dancing to live music!